Journey beneath the ocean waves, down into the depths of Neptune's Kingdom. Click here to play! Capture the colorful fish of Neptune's Kingdom, to introduce to the world above. Woo beautiful mermaids to the surface, to be made into pop divas by a music industry that will welcome the mermaids' siren songs of the sea. Take up one of Neptune's magical tridents and prepare to fight the ancient sea god for his plunder, taken from a hundred thousand ships that have met their ends in his murky fief. Will you come away with untold riches? Will you turn the mermaids' songs against them? 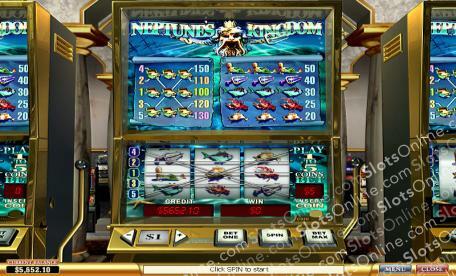 Can you defeat Neptune and resurface with his treasure? Neptune's Kingdom is waiting. It is up to you to seize your chance at immortality.